Could you use a new pair of shoes? Maybe one of the men in your life is in need of a great pair of shoes for men. Before you head out to look for something, it pays to learn a little about what goes into choosing the right pair of men’s footwear. Here are some tips on how to choose mens shoes that will make all the differ-ence. There are different types of shoes for men designed for all sorts of activities. Before you do any shopping, take a moment and determine where those shoes will be worn. This helps you to concentrate on footwear that will serve a purpose and not end up stuck in the back of the closet. What shoes should every man own? Every man needs shoes that are appropriate for his work-place. That may mean having a couple pair of dress shoes or it could mean more casual shoes. There should also be shoes that are fine for casual wear during warmer weather. Footwear that’s ideal for working out is also something else that should be in every man’s closet. You also want sandals for the summer as well as a pair of boots with a reasonable amount of lining for wear in the winter. So what sort of shoes for men do you need right now? It may be one of the types just mentioned, or it could be something for a special occasion. Perhaps you are attending a formal event and need something suitable to wear with a tuxedo. You might be looking for boots that you can wear while hunting or hiking. 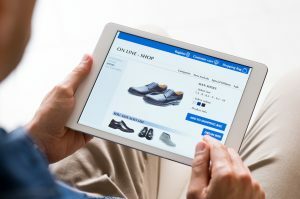 Define the purpose for the purchase and it will be a lot easier to focus on the kind of footwear that you need and avoid getting bogged down looking at shoes you can do without right now. Colours are another factor to consider. In most cases, the venue where you will wear the shoes and how you dress for the occasion will make it easier to select the colours and hues. Remember that while you may select from a wider range of colours for more casual settings, the appropriate options for a business setting are likely to involve only a few choices. There are questions that you can ask yourself and use the answers to direct the search. For example, should your shoes be darker than your pants? When you are selecting dress shoes for men, it pays to consider the dressy clothing you wear in the workplace or for special occasions. You’ll find that when you dress up, your shoes should either match the colour of the pants or be darker. For example, you would never wear a pair of brown shoes with a black suit, but you could get by wearing a pair of black shoes with a blue suit. With more casual shoes, you can have more fun. Go darker or lighter with the shoe colour if you are wearing jeans. The same is true with walking shorts. If you prefer to wear sandals or some sort of shoe while walking along the beach or the lakeside, it’s fine to wear a lighter and contrasting colour with your swimsuit. You may think that your feet stop changing during your teenage years, but that’s not the case. It’s a fact that the shape of your feet may change slightly as you age. That’s because of other changes, like your weight, and the general wear on ligaments as the years pass. Typically, the sizing does not change drastically. For example, you are not likely to go up a full size. What is more likely to happen is that your narrow foot may turn into a wider one as time passes. Before you shop for new shoes for men, take a moment to determine how well your other shoes fit right now. Are they basically fine but do seem to be a little tight on the sides? If so, you may want to try the same size but with a little more width. That one difference will help make those new men’s shoes more comfortable and motivate you to wear them more often. It’s easy to find a brand that you like and decide to stick with it. In fact, it makes sense to check out what that brand has to offer in terms of the kind of shoe you need right now. The thing to remember is that you should be open to trying a new brand. After you settle on the purpose, the potential colours, and the sizing for your new men’s footwear, spend a little time investigating a brand that you’ve never tried before. Read reviews to get an idea of what other consumers think. Check out the materials used for the shoes and get an idea of how they are sized. You also want to consider the price, at least up to the point. While it should never be the most important aspect of those new shoes, it never hurts to save a little money. Who knows? You might find a new brand that has shoes for men that you like even better than your current brand. Being open to different brands of shoes for men is one thing. Randomly trying brands that are apparently inferior to what you already wear is not going to work out. You are used to a certain level of quality and that means the right men’s shoes will match or exceed those expectations. Not skimping on quality enhances the potential of those shoes to be among the best you’ve ever owned. If money is tight and you must have a new pair of shoes immediately, do your best to focus on brands that are higher in quality and come with a more affordable price tag. When you can wait for a few months and save a little more money for the purchase, do so. In the long run, you’ll be happier. Even the best quality shoes for men aren’t worth it if your feet are not comfortable. One area that men sometimes overlook is the shape and the amount of space in the toe box. Never settle for shoes that don’t have a little wiggle room for the toes. That one aspect will make it a lot easier to wear the shoes all day without your feet beginning to feel cramped or stressed. When shopping in a store for new shoes, try on the right one and use your fingers to see how much space is between the end of the toe box and your toes. When you press and it seems as if there’s roughly the width of your fingernail between the big toe and the end of the box, there’s a good chance that those shoes will offer a comfortable fit. Remember that different types of shoes for men come with heels of slightly varying heights. Taller men certainly want a lower heel. Men who are of a more modest height may be tempted by a taller heel. That’s fine, but make sure the heel’s height and shape doesn’t make your feet look too bulky. That will kill the look of the nice suit you’re wearing, and won’t exactly be a good fit with a casual outfit either. You also want to check the heel to determine if the materials will help you remain in an upright position when it’s raining. The last thing you need is to be running toward the car during a storm and end up slipping on a slick sidewalk. Make sure the heel as well as the rest of the shoe bottom provide you with some traction on slippery surfaces. Cushioning and arch support are important whether you will be wearing those new shoes for men all day or for a couple of hours. In any setting, the right amount of support minimizes the chances for cramps in the instep and toes, pressure on the ankles, and pain in the lower legs. The right level of cushioning and support will also minimize the risk for lower back pain. Instead of feeling exhausted at the end of the day and wanting nothing more than a soothing soak for the feet, you’ll be ready to go out and enjoy some time with your friends. Investing in a higher quality of shoes does save money over time. You’ll find that footwear with more durability can easily last twice as long as an inferior pair. When you consider the fact that less expensive shoes may need to be replaced more frequently, the overall expense is lower by spending a little more up front. Durable shoes also mean that they hold their appearance for more years. Assuming you take proper care of them, they will show few signs of wear even after they’ve been in use for a couple of years. That’s certainly a better use of your hard-earned money. Footwear that’s durable is also more likely to feel good on the feet and even protect them to a greater extent. Protection, even with a pair of dress shoes, matters. It’s important to ensure they help to prevent minor issues that could happen to the feet during the course of the day. For example, a sole that is made of durable material and is of a reasonable thickness will protect your foot in the event something sharp ends up on the floor. You can bet that sturdy materials designed to protect your feet while you are hiking or camping will come in handy. Even the best men’s shoe brands occasionally have sales. That’s because the plan is to make room for newer designs and that means selling older ones at a discount. There’s nothing wrong with the shoes. If you’re going for a traditional style, last year’s designs will likely work just as well and cost less money. It’s find to buy shoes for men that at least nod to the current fashion trends, provided they fit in with your personal sense of style and look good. Don’t discount current trends but never allow them to determine what you will or will not wear. Be true to your own personal sense of style. If you don’t like shopping in general, try shopping for shoes online. Look for your favourite brands since you already know how they fit. You’re likely to find more options for men’s dress shoe colors online, which makes it all the easier to find something that works with your present wardrobe. You can also shop while relaxing in your favourite chair, something that makes shopping a little easier. If you find what you want, why not buy another pair or two? This is especially helpful if you are looking for something to wear every day. You can rotate those two pair and still project the look you want. Best of all, not wearing the same shoes for men daily will help you get more years of use from both pairs. Remember to not rush when you shop for shoes for men in any venue. The goal is to find a pair that serves the right purpose, has the look you want, protects the feet, and provides adequate support. In the long run, you’ll get more use from the purchase and certainly recoup more of your investment in those new pairs of shoes.